Foreign officials in Pyongyang on eve of North Korea's founding anniv. 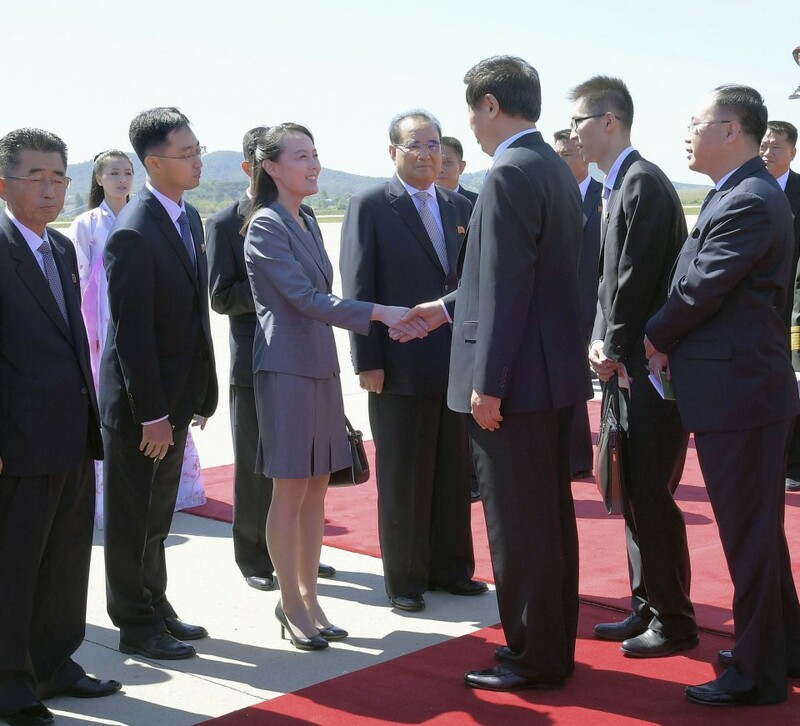 Many foreign officials have arrived in Pyongyang from abroad on the eve of North Korea's 70th founding anniversary, Kyodo News confirmed Saturday, amid a deadlock in denuclearization negotiations with the United States. On the anniversary on Sunday, North Korea is expected to hold its first military parade since leader Kim Jong Un and U.S. President Donald Trump held their historic summit meeting in June in Singapore. All eyes are on whether Kim will make a public speech at the parade, and if so, what kind of message he will send as denuclearization talks have reached an impasse after the first-ever U.S.-North Korea summit. Li and Matvienko are set to attend events related to the 70th founding anniversary, as some foreign affairs experts say North Korea is willing to promote talks with the United States with the backing of the two neighboring friendly countries. On Saturday night, Li and Matvienko, the No. 3 politician in Russia, participated in a music festival in Pyongyang to celebrate the anniversary, along with North Korea's ceremonial head of state Kim Yong Nam. Earlier in the day, Matvienko held talks with Kim Jong Un, Russian media reported. From Japan, wrestler-turned-lawmaker Antonio Inoki is visiting Pyongyang. 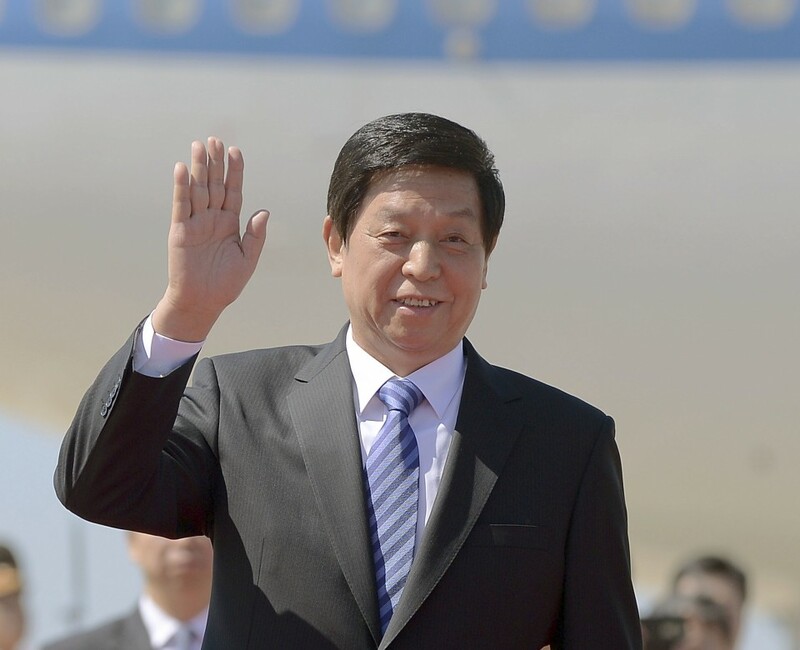 He met with Ri Su Yong, a vice chairman of the ruling Workers' Party of Korea, on Saturday, Pyongyang's state-run Korean Central News Agency reported. Meanwhile, North Korea has put the final touches on preparations for Sunday's anniversary, with some high school and university students apparently practicing for torchlight marches and mass games. 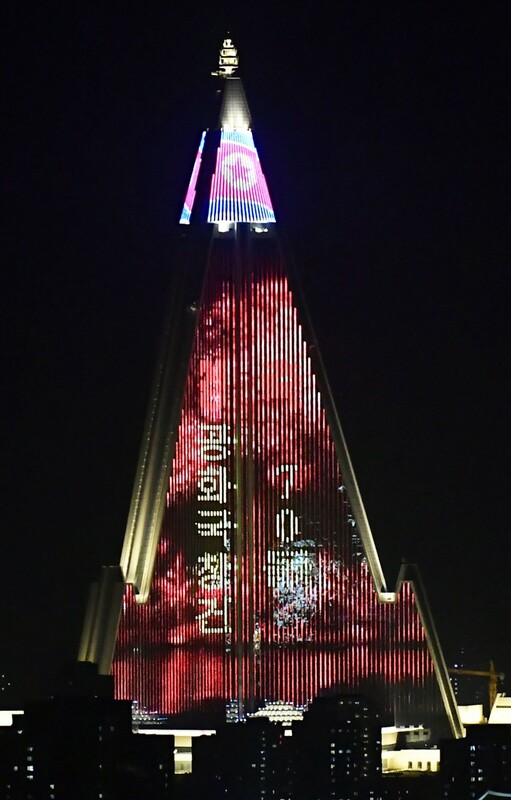 The 300-meter-tall, pyramid-shaped 105-story Ryugyong Hotel in Pyongyang, which has been long dormant, was lit up from top to bottom at night to celebrate the anniversary. Although Kim promised Trump in June to achieve "complete" denuclearization of the Korean Peninsula in return for security guarantees from Washington, skepticism has been lingering about North Korea's intention to take concrete steps toward it. But in his talks with special envoys of South Korean President Moon Jae In on Wednesday in Pyongyang, Kim voiced hope that denuclearization of the peninsula will take place during Trump's current term in office through January 2021, according to Seoul. Trump has welcomed Kim's latest commitment, sparking expectations that negotiations between the United States and North Korea will move forward. North Korea has agreed to hold a summit meeting between Moon and Kim in Pyongyang on Sept. 18-20, Seoul said. Around 140 foreign journalists will cover envisioned events in Pyongyang, including a military parade in the heart of the capital and a mass games display at the city's May Day Stadium. The military parade will be North Korea's first since Feb. 8 this year, when the country celebrated the 70th anniversary of the founding of the Korean People's Army. At the February parade, Pyongyang displayed what appeared to be intercontinental ballistic missiles like the Hwasong-15 missile, capable of delivering a nuclear weapon to any city on the U.S. mainland, in a thinly veiled threat to Washington.